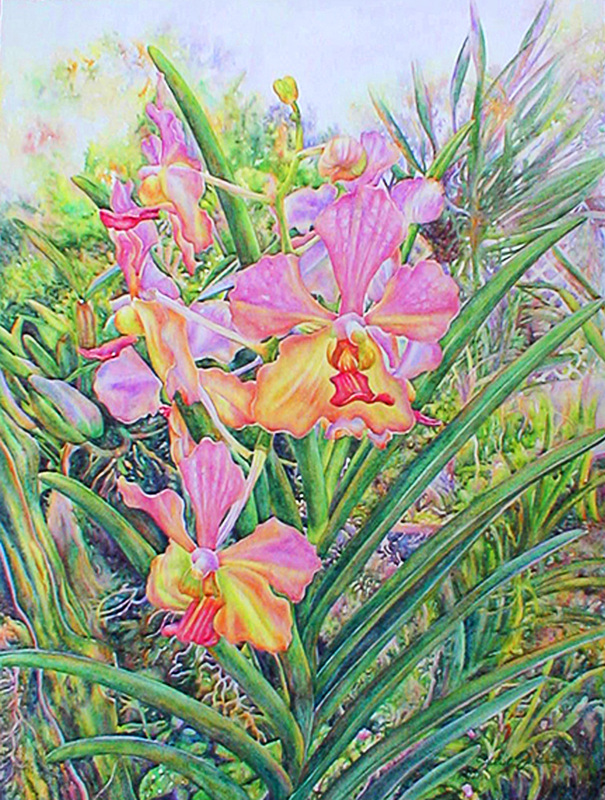 What was interesting about this particular pink orchid, painted in Jamaica, was the colors on the petals that reminded me of the colors found in a beautiful sunset, hence the name. Not a strong vivid sunset, but a softly hued sunset. This is a limited edition of 250 giclée prints on watercolor paper. The original painting has been sold.